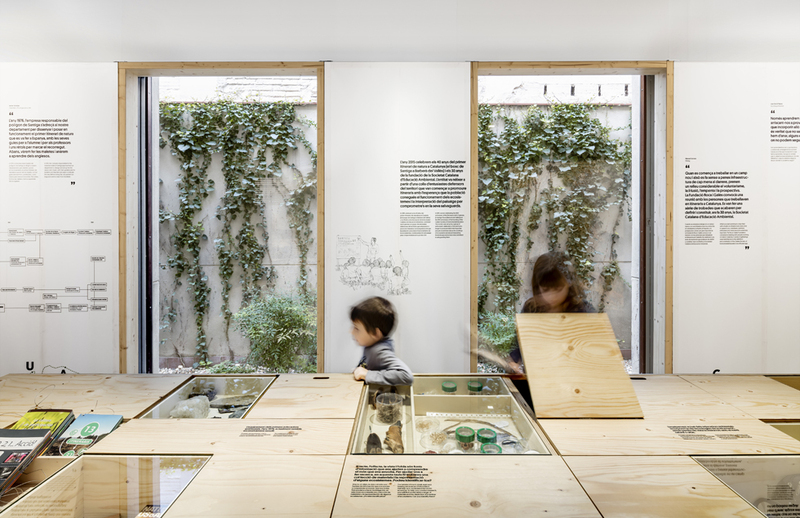 Nature paths is a travelling exhibition about environmental education history that will initially take place in the Palau Robert garden pavilion. 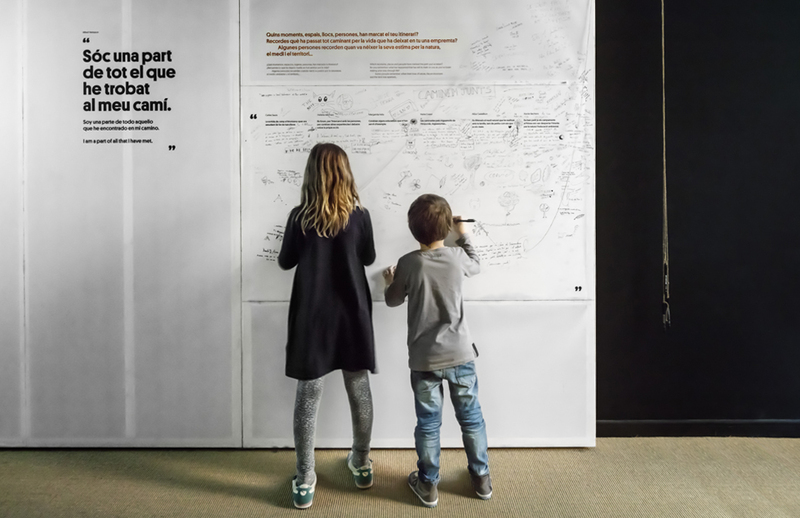 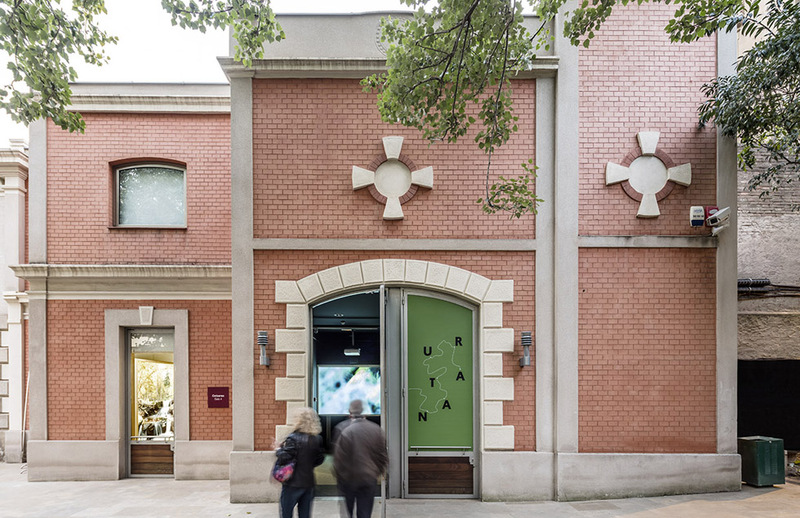 Curated by the Catalan Society of Environmental Education, the exhibition combines a historical narrative with an experiential approach to environmental interpretation. 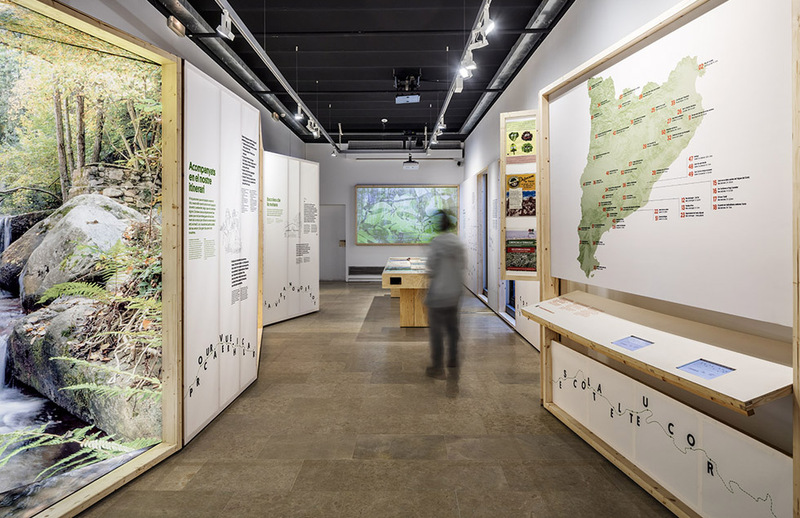 It is also an instrument to spread the environmental education activities network in the Catalan territory. 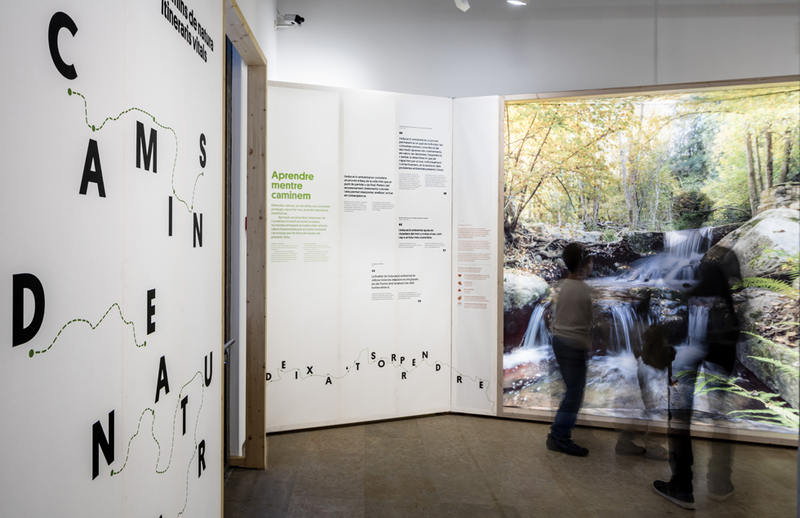 -Bringing the landscape to the exhibition hall to invite visitors to experience the process of observation, deduction and interpretation of the natural environment. 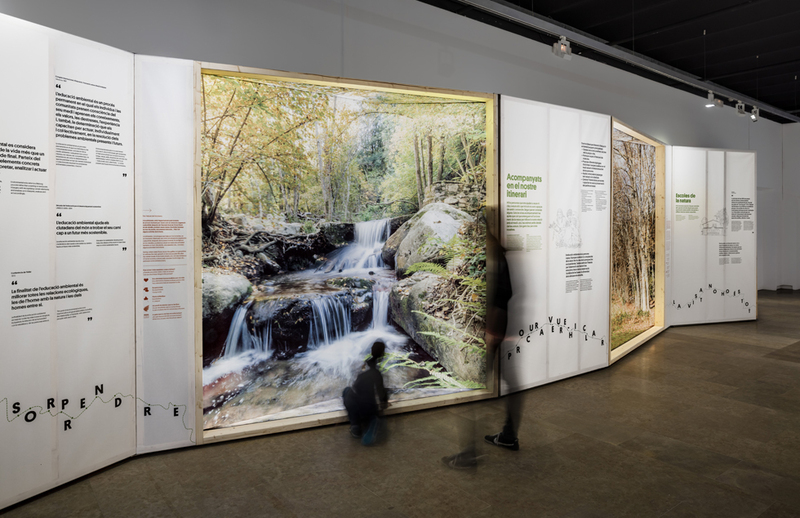 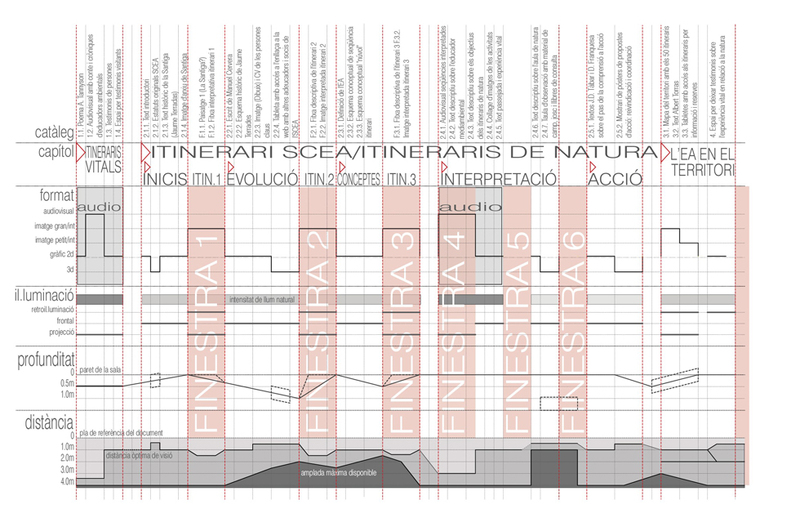 The proposal uses a single system to frame real visions of nature and 3 dimensional images of interpreted landscapes to transform the exhibition hall in a sort of panoptic space for the Catalan landscape. 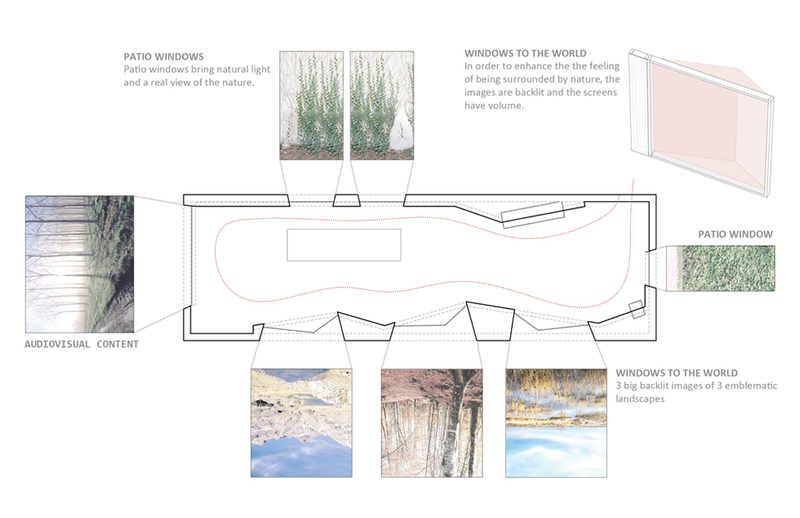 -Displaying in parallel a narrative argument that goes from the origins of environmental education to an explanation of its goals and educational process. 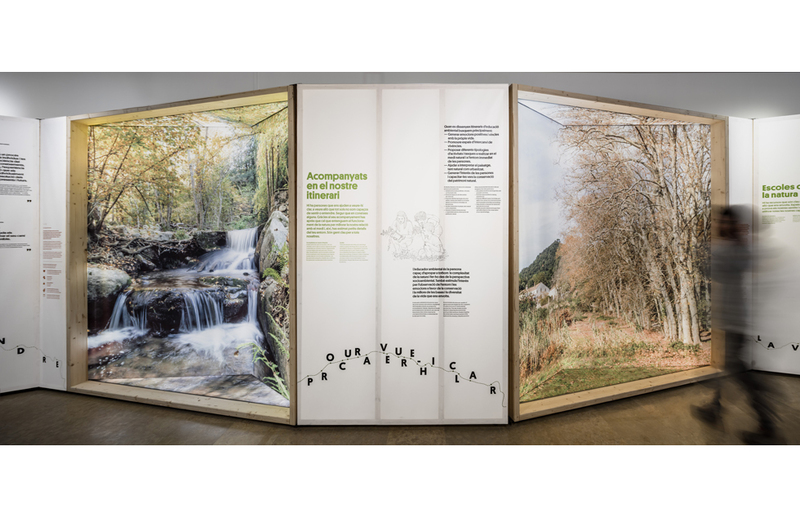 In order to emphasize the contrast between information and experience, this narrative is implemented strictly using text and drawings on a textile support with a graphic solution inspired in the naturalist’s sketchbook printed using ecological inks. 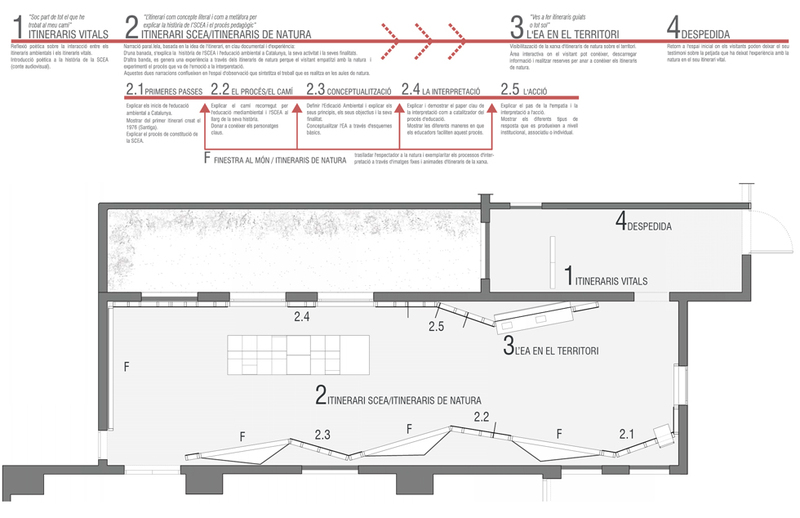 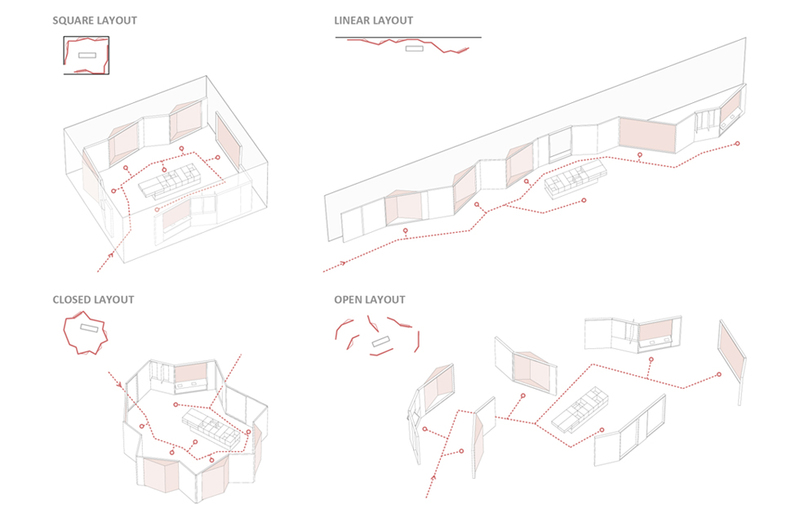 -Building a simple a highly environmentally responsible and extremely versatile system adaptable to very different spaces and layout configurations. 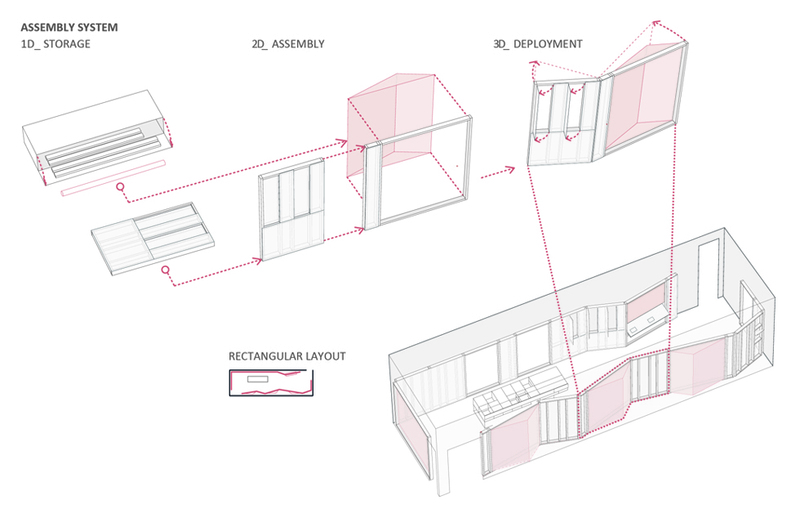 This system is based on articulated laminated wood frames and natural tensed fabrics. 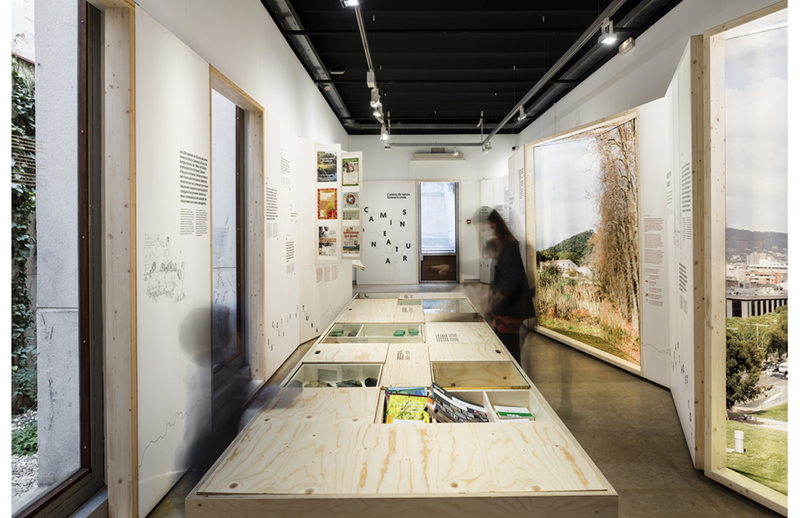 All packaging elements are part of the exhibition display, so that there is no additional material waste and no need to store it in the different destinations where the exhibition will travel.